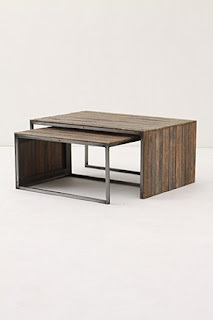 So I finally went to Anthropologie for my future coffee table reconnaissance mission. And it was a failure! Apparently they don't keep most of the furniture they sell in the store. I guess I never noticed before. I mean they have beds and dining tables, I just assumed the coffee tables would be there as well. They are not. The girl told me I could buy one or hope that someone ordered and returned one. Ya ok... So I'll just have to study the picture and hope for the best. But not to fear- the trip was not a complete loss! Most people go to Anthropologie for the clothes, I got for the furniture and displays. 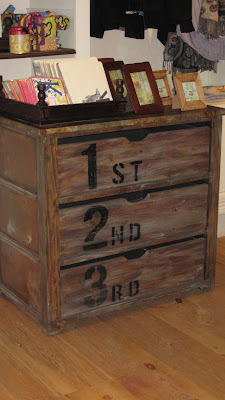 For an example check out my friend Samantha's Anthroplogie Inspired Cupcake Stand. 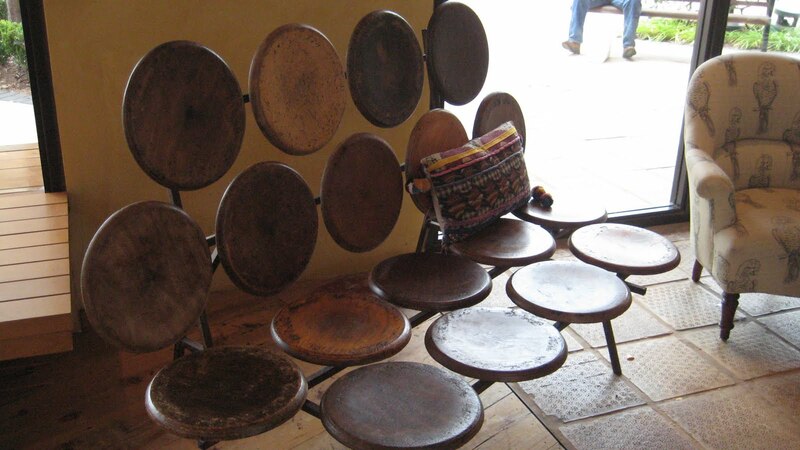 Cool bench made out of stool seats! 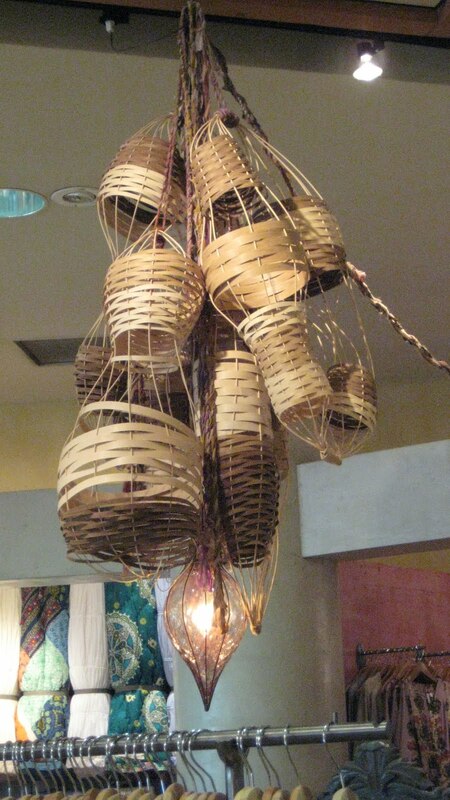 You could make something like this yourself. Everything is so unique and interestingly put together. This display is made out of paper cups, napkins and plates. Wouldn't be cool to be the person who came up with all this? 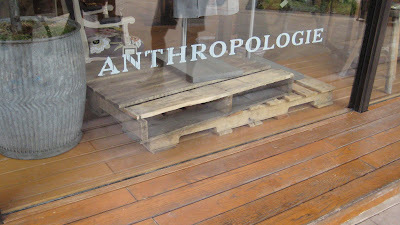 I love all the Anthropologie stuff and your little boy is a cutie! Thanks for stopping by my blog so see my window menu. 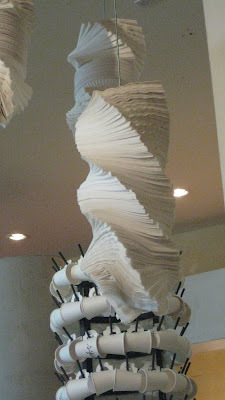 I love the displays at Anthropologie!! And you know what? Store design & Display is what I want to do when I "grow up". I am in school studying Ceramics now & my fine arts background is the basis for this type of job! I am always on the look out for really cool store displays. I'd love to own my own shop so I could do whatever I pleased (I'd love to own an antique shop!) with my displays. I've only been to their store once, when I was in Dallas, and I spent forever in there just looking around!